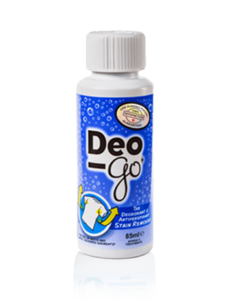 Deo-Go effectively removes deodorant and antiperspirant stains. 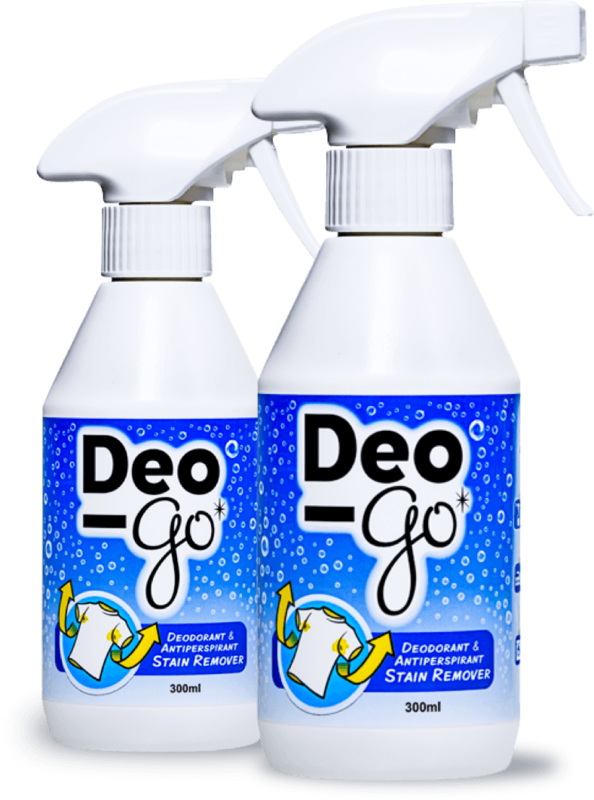 Deo-Go is applied directly and worked into the stained area of clothing and then left to work for a short period before being washed according to the garment’s normal washing instructions. Deo-Go’s active ingredients target the antiperspirant or deodorant residue build-up, dissolving and completely removing the stain, restoring the garment’s original appearance! Our 300ml (10.14oz.) bottle will treat approximately 15-20 garments. Deo-Go works great. I’ve used it on 4 shirts now and the results are better than I expected. I’ve been using now on my husbands white and black tees for years and it hasn’t failed me yet. It takes 2 applications on a few of the tougher stained shirts, but worked. Think I’ve probably saved 20 shirts at this point, love this product. It took two washings but my white t-shirts are totally stain free. I thought those yellow stains were unremovable, so I’m pretty darn happy with deo-go. It is perfect. My wife save 15 shirts with just a half of bottle. Needed a bit more than the instructions called for but it got the stains totally out, really terrific product! This works just as claimed! I used deo-go on a bunch of my tees this summer and was really happy with the results. The stains under the armpits came out so completely. Thanks! 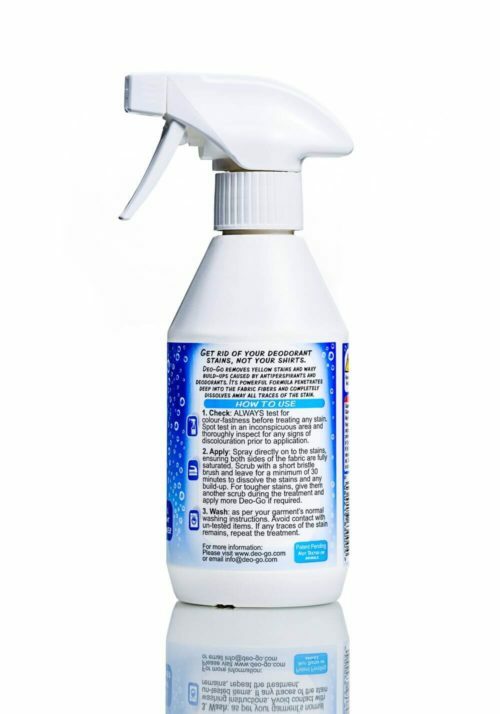 We also offer a smaller bottle for trials.